featured vocalist with "mad musical scientist" David Fiuczynski's avant-hard band Screaming Headless Torsos! "Sophia Ramos nails the steel of a woman who rose to lead the Young Lords, earning the ire of many followers"
​“ 'Baby I Owe You Something Good' ... received an astounding makeover by vocalist Sophia Ramos. She didn’t merely sing the song, she possessed it. Words practically erupted in her throat." ​Love Bites: Best Duets Ever! ​ 12th annual LOVE BITES show is a celebration of the greatest pop/rock duets of all time! Born in the Bronx, New York, Sophia cut her teeth as a member of the NYC hard rock band Sophia’s Toy with a commanding, snarling stage presence. Named “Best Undiscovered Artist” by VH1, she has collaborated with the likes of Metallica’s Jason Newstead, Psychotica, and Joey Ramone, and performed as vocalist with an incredible variety of artists, including Screaming Headless Torsos, Government Mule, Rod Stewart, Jennifer Hudson and Jefferson Starship. Sophia is a veteran live and studio vocalist and voiceover artist. 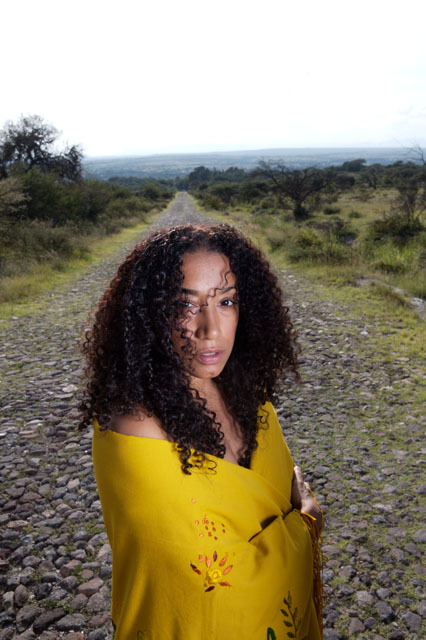 Her talents in both English and Spanish have been employed in countless commercials and jingles. Sophia has released two CDs of killer rock & roll, Her Majesty and Revelator, co-written and produced by guitarist Billy White. 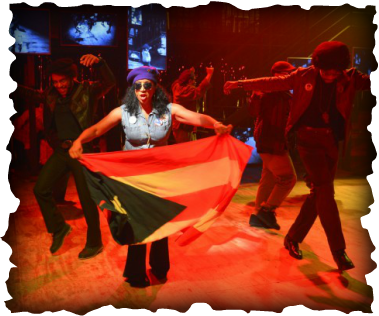 In Fall 2014, Sophia appeared at The Berkeley Repertory Theatre as a featured actor and vocalist in ﻿﻿PARTY PEOPLE an original play about the ambitions and regrets of the 1960s revolutionary groups the Black Panthers and Young Lords. PARTY PEOPLE is directed by Liesl Tommy and created/produced by UNIVERSES, an award-winning ensemble that fuses theater, poetry, music, rap and politics. PARTY PEOPLE opened at The Public Theater in New York City on November 14, 2016.